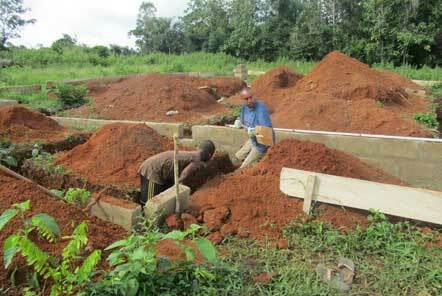 Building in Ghana - Manhar’s top tips! When volunteering in Ghana, there are several roles you can get involved in; Child Care, Teaching, Film and Photography, Sports Coaching and Building! 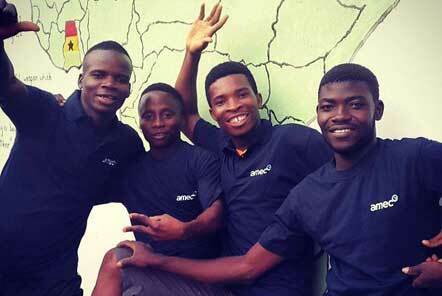 Describe a typical day at the Building project in Ghana? "A typical day here involves quite hard manual labour. There are different tasks to carry out which may be wheelbarrowing breeze blocks, digging trenches or laying blocks or other building related tasks as the building progresses. It is quite an early start, we get to the site around 8.30am, lunch is at 12pm to 1pm, and then we work until about 4pm. It would help if you are reasonably fit and active, as the conditions can be challenging, particularly the heat and humidity. If you carry out similar work in your home countries, the one biggest factor I have found most challenging is the heat so it is important to not to try to keep up with the local team and work at your own pace. Drinks lots of water and take a break if you need to do so. The local team are really understanding and encouraging and will make sure you are drinking and taking breaks." 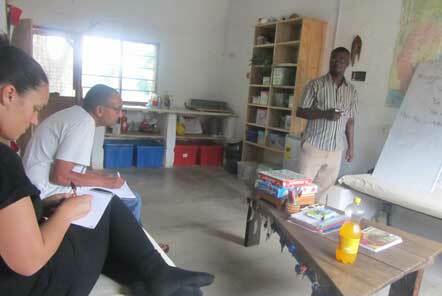 "Working with the local team. On Friday, Michael, the mason that works with us, showed me how to cement the blocks into position and was really supportive. I have really enjoyed getting to know each of the team members and there is a good comradery. You can see the building taking shape so there is a real sense of achievement. By the end of my time here, we are hoping to have the walls 4 or 5 blocks high all the way around the building, when I arrived there was just trenches with a cement foundation, so it is really great to be able to see the effect of all our hard work." "The heat and humidity definitely! However, I have found that after my first few days I started to adjust to it. I think all volunteers will find the first day the toughest in terms of the heat however as time goes on you do find that you are able to adjust and work better in it. The local team understand that volunteers find this tough though and are so friendly and always reminding you to take breaks!" Why did you choose Pod Volunteer? 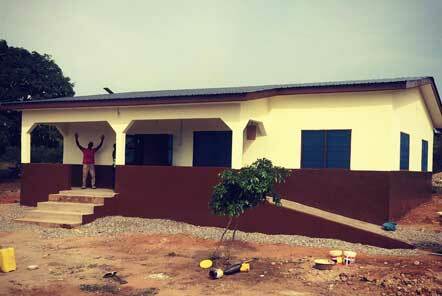 "I looked on the Responsible Travel website and I chose specifically Ghana and I chose the Building work. I was curious to explore a new country. I have done volunteering work in the past doing building work but this sounded like a great new challenge. When you initially make an enquiry through Responsible Travel you are choosing the project based on the description and you can then find out more about the opportunity available." What are you most happy that you packed? "My walking boots because they are crucial for work on the building site and I like to go exploring at the weekends so they come into their own then!" What have you done in your free time? "I have been running, and I am aiming to run to a local town about 3km away and back by the end of my stay! I have really enjoyed the surroundings here and exploring the local area. 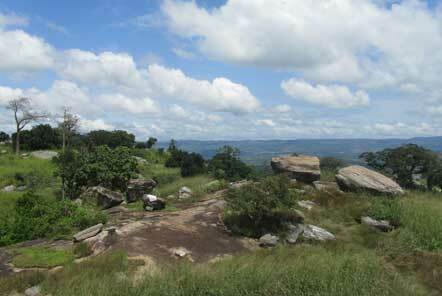 We went and climbed Mount Krobo (pictured above) which was amazing, with stunning views at the top. We have had cultural lessons with Master Gyampoh, the local teacher in the school, and he has been teaching us all about the local culture and some basic phrases and words in the local language of Tui which has been great!" 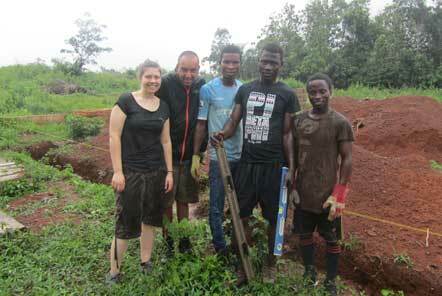 What advice would you give to people looking to come and volunteer at the Building project in Ghana? 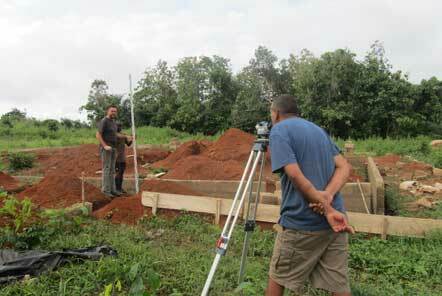 "First of all, to do your research about the project and the area. Be aware of what you will be involved in and the conditions you will face, such as small things like using a bucket shower. I would advise all volunteers here to immerse themselves completely if they can, into the way of life and the local culture. Try some of the delicious local food and really integrate with the community." How will you remember your time in Ghana? "I think I will remember the vibrancy of the people, the music and the heat! I will make sure I follow the progress of the Building work by looking on social media, as it will be great to see how things progress."